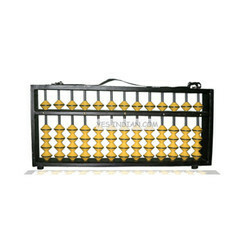 Leading Manufacturer of 7 rod multi color master abacus, 7 rod display abacus, 7 rod display abacus with stand, 6 rod master abacus, multi colour master abacus and 13 rod teacher abacus from Chennai. 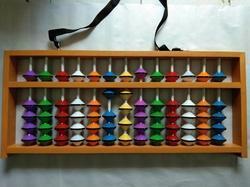 Owing to our immense experience, we have been successful in catering to the requirements of our esteemed clients by offering quality 7 Rods Multi Color Teacher Abacus. 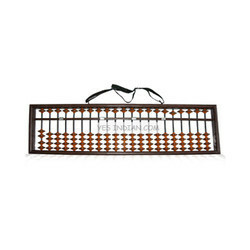 The offered range is available in different customized forms with respect to the emerging requirements of the customers. Along with this, these products are applauded for their long lasting nature, environment friendly and superb finish. 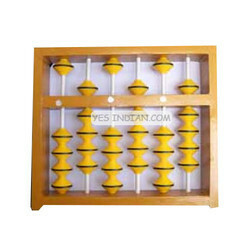 Client can avail these abacus at market competitive rates. 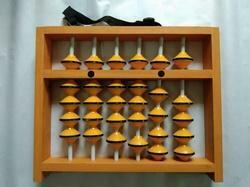 A Master Abacus or A Teacher Abacus is a large sized Abacus similar to of a Student Abacus but can be used either ways i.e. vertically or horizontally on a table. 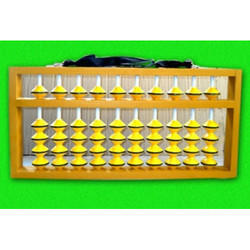 Abacus Classes is a group of students meeting the Abacus Teacher at a regular interval for learning the techniques of Abacus Math for Fast and Accurate Mental Math. 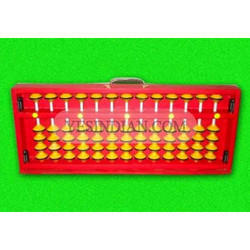 Abacus Teacher use various aids for teaching kids like Master Abacus, Teacher Abacus, Flash Cards, Fingered Abacus to train and teach them Abacus operations of Addition, Subtraction, Multiplication, Division etc. 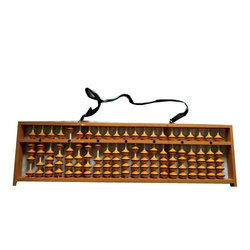 Master Abacus and Teacher Abacus is one of the main tools used by the Abacus Teachers to brain train Abacus Students for showing and displaying the Abacus Math methods in an Abacus Math Classroom Activity. 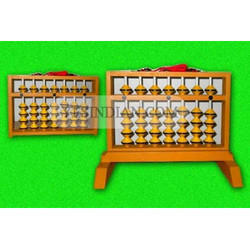 Children learning Abacus find it easy and practical to understand the methods while the Abacus Teacher show them it on Master Abacus and Teacher Abacus. 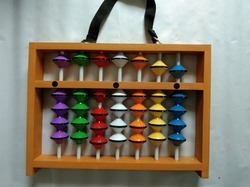 21 Rod Display Abacus This large sized Teacher Abacus is one of the main tools used by the Abacus Teachers to brain train Abacus Students for showing and displaying the Abacus calculation methods in an Abacus Classroom Activity. 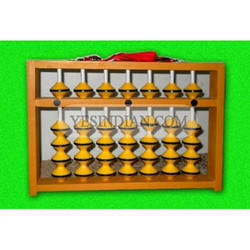 Children learning Abacus find it easy and practical to understand the methods while the Abacus Teacher show them it on Master Abacus and Teacher Abacus.